Graphic designing of animated figures, customized greeting cards or logos can distinguish your company in the marketplace. 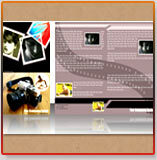 Our expert graphic designers can provide creative design solutions for a wide range of graphic design needs overnight. We can digitize and vectorize your existing logo for printing and web applications, in different formats including Adobe Illustrator, Adobe PhotoShop, Corel Draw, Macro Media Flash, etc. 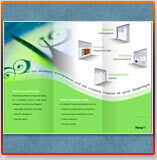 We can graphically design or re-design your website to improve its overall appearance. Design Presentation’s creative instincts, breadth of graphic design capabilities, depth of expertise, and unmatched resources allow clients unmatched graphic design services. At Design Presentation, our talented team of illustrators, animators and programmers can help you with all your graphics, design, animation and imaging needs. Our creative instincts, breadth of graphic design capabilities, depth of expertise, and deep resources allow our clients access unmatched graphic design services. Our creative house is fully-versed in creating company logos, simple yet eye-catching buttons, web banners, and 3D graphics.